I’m sitting here for an hour already thinking the first words to start talking about this movie. And I just couldn’t find anything fitting enough. Its like my heart aches so much for these two kids I don’t find words to express that. Its sad, touching and deep. Its so real that you can feel it (its based on real memorial book). 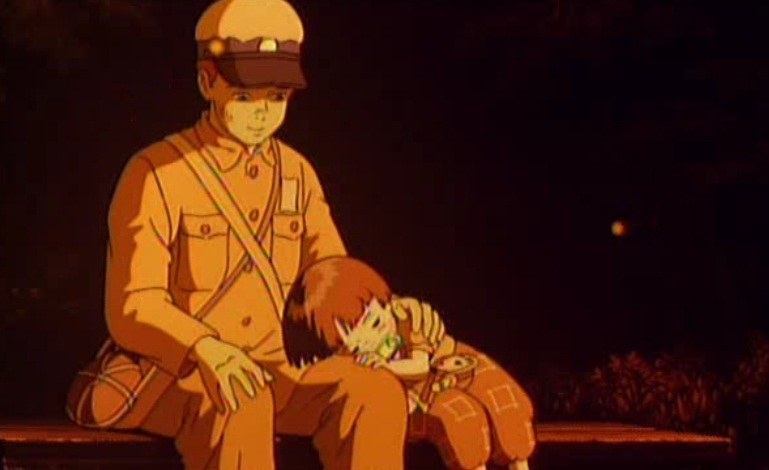 Though the story is heartbreaking, its simple as real life – I once already said (I think), we are hurt the most by simple things.. Setsuko takes care of his sister, while their city is under attack (its WWII), and their mother is in the shelter. 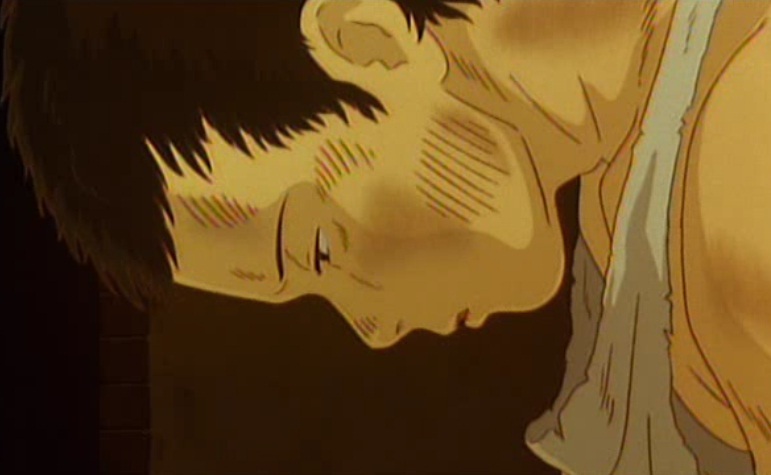 After the attack Setsuko gets to know that his mother is badly hurt. Eventually she does and he with his sister goes to their aunt home. At first aunt is ok with them, but later on (you now its war, she has her own kid) they become a burden for that home and feel it, so decide to leave. As they don’t have where to go they start to live in abandoned shelter. But war goes on and its hard to live – its not like in all stories, where you can start living in a forest and do everything for yourself. True life is way different – there is no food, there are illnesses, there are lice, there is war, and to take care of a small child for a boy who is kid himself is not a child’s play. You can guess what happens eventually.. The most painful thing in all this, is that they were not needed. They were abandoned, left behind, and no body looked back at them. And you know what? there are kids like them dying every day even without WWII. And yet we need to see a movie to think about it, we, ourselves don’t see. On the other hand, I read that this movie represent the guilt of a boy, because the author actually felt responsible for the death of his sister. Ya and you can see it – even if you feel totally sorry for both kids, Seito should have gone back to his aunt (though that might have been also a horrible life, but at least there would be people who support even only for the eyes of neighbors). Pride is something hard to break inside yourself, but there are moments you have to be brave enough to do so. But even so Seito just wanted to save his sister and he did everything he thought he could. Well anyway – nothing I’ll say will ever be enough to explain this movie. Because I guess everyone feels it a bit differently. We might not know the horror of war on our shoulders, but that is one more reason to see this – at least this way we might understand how lucky we are. Once my teacher said – war is a driver for economy, you have to see a bigger picture. And I said that I rather see a small picture of my father coming home alive, than to be a pixel of somebody’s big picture, where he even doesn’t know that we are alive. War is a game of some big people, who don’t step out of their conference rooms to play that game. But real people, who don’t really understand why, have to play it with their life. naaaaaahhhhh!!!!! enough of this political (philosophical) babling. Lets get back to business.. I mean anime. 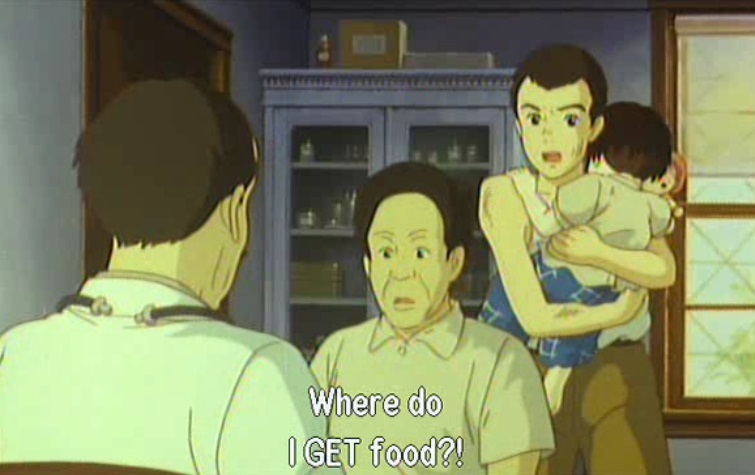 Despite the shocking story line, the movie also has a great animation (for the ’88s), really realistic, nice Ghibli style drawing, soundtrack is maybe small, but totally enough, realistic characters (no wonder there is a live action movie). This is a “definitely must see” movie (if you have any feelings and brain smart enough to think out of your small video games, lolis, sports, fashion, comedies or other stuff filled world). On the same term, even if this movie is a masterpiece, and as shocking as it is, its not something you don’t expect, and expect on the same time. (ok that was complicated sentence, let me explain). There are a lot of movies by this theme – some better, some worse. When you start to watch this movie you already know this is not a piece of loli filled sweet cake. This is a full plot drama, which lives it till the end (you expect and get). And that might be a bit of a let down to the viewers who actually saw a lot of war movies. There are no big fighting scenes and war is just a situation – its something there is, as the main characters actually evolve about relationships between people (you might expect and don’t get). And so somewhere in the middle you understand that you will cry in the end, but you can’t stop watching, because it feels somehow unfair, as someone had to live it and you don’t even dare to watch it. Its the best predictable movie you will ever see. 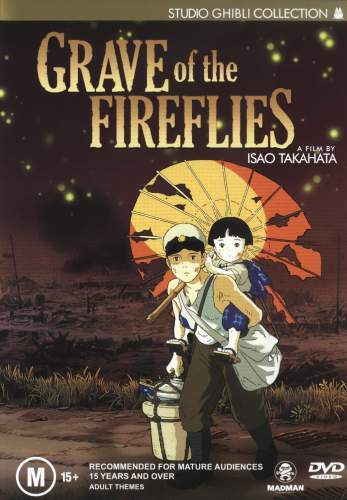 This entry was posted in Movie and tagged Akiyuki Nosaka, Before 1990, Grave Of The Fireflies, Hotaru no Haka, Isao Takahata, Studio Ghibli, Toya Sato, Yoshifumi Kondô, [GGC]. Bookmark the permalink.